Picture Book Month is over, so I'm finally back to share what other books the kids have been reading. We had a great time reading all the picture books, but both kids have been busy reading other things. I've continued to pick up lots of early readers at the library for M. I realized recently that she's reading at about the same level C was reading at when he was in kindergarten, which is pretty amazing. Aside from the early readers, I picked up a couple very popular books that I've never gotten around to reading to M: Knuffle Bunny and Knuffle Bunny Too by Mo Willems. We absolutely love his Elephant and Piggie books so we were excited to read a couple other books written by him. The first book is about a little toddler who loses her stuffed bunny at the laundromat and has a major tantrum on her dad since she can't tell him what the problem is. In the second book, she's older and her bunny gets switched with that of another little girl, causing some big issues again. These are very cute books! C finished the Secrets of Droon series by Tony Abbott. He really enjoyed the entire series, and it was especially fun since he found a couple friends in his class who were also reading it. It's a great series about some kids who find a new world and get all wrapped up in it. There are good guys and bad guys and all sorts of fantastical things going on. I was surprised it didn't frighten him when he first started reading the series. But since he enjoyed it so much, I think he has really been opened up to the whole fantasy genre, which is exciting. They're all around third grade reading level. Since he enjoyed Secrets of Droon so much, I suggested C try The Lion, the Witch and the Wardrobe by C.S. Lewis. It took him a while to really get into it, but once he did, he had a hard time putting it down! He finished that book within about a week, and then borrowed Prince Caspian: The Return to Narnia from the school library. Now he's reading The Magician's Nephew. He's been borrowing them from the library but I do plan to buy them since I'd like to read them myself. 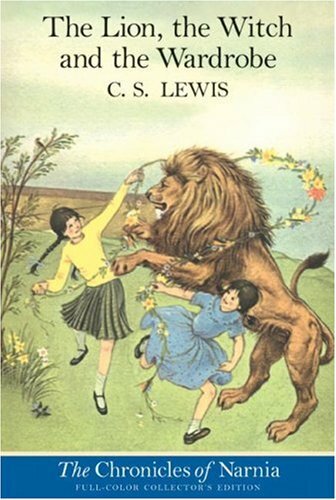 I even signed up for a Narnia Reading Project in 2012! These are all fifth and sixth grade reading level according to Scholastic, so they're much harder to read. But he doesn't seem phased by that. I also got a chance to do some reading this week as Mystery Reader for C's class. I wanted to read something related to the holidays but didn't want it to be too focused on Santa since I know the kids his age are starting to question things. 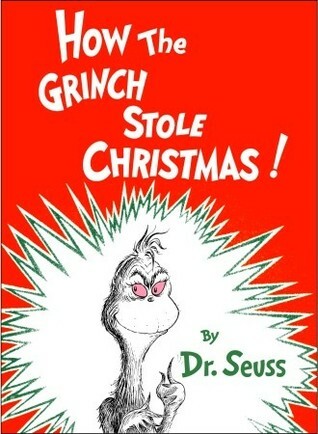 So, I went with How the Grinch Stole Christmas by Dr. Seuss. I also brought along Horton Hears a Who and Green Eggs and Ham. The kids all loved hearing these Dr. Seuss stories, and it was fun to get into his classroom and see all the kids. There's a third book in the series called "Knuffle Bunny Free," where she loses him on a plane. It's very cute, if you liked the first two in the series. The Narnia series is one I think every family should own. If he likes those try him on Spiderwick Chronicles, they're on about a 3rd grade level, and are quick reads. 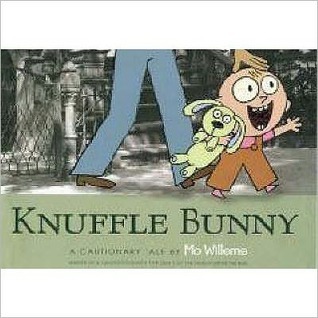 We especially love Knuffle Bunny because they are set in our neighborhood! We loved all Mo Willems books, and Grinch is also very popular here. Anna listened to Narnia, but didn't quite got into the books, at least not yet. Too scary for her!